And there's a 16x boost to resolution too. The Xbox One backwards compatibility programme has thrown up plenty of surprises so far, but this one really is quite remarkable - Microsoft's enhanced version of The Elder Scrolls 3: Morrowind is one of the best examples of the boost to image quality and performance that today's hardware delivers when running yesterday's games. 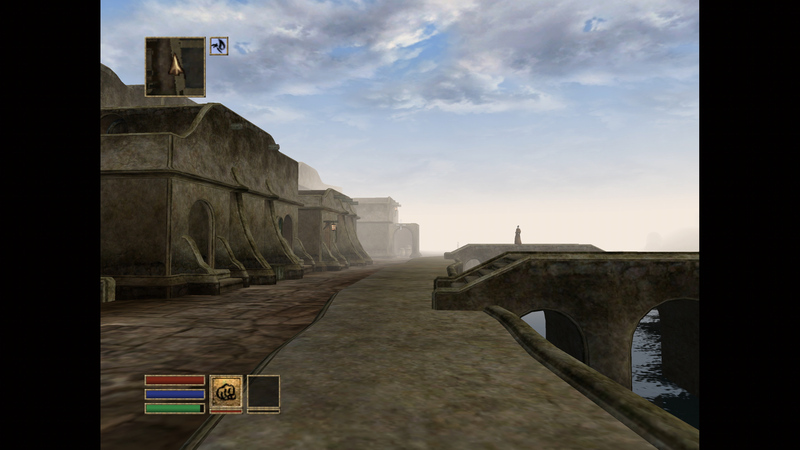 Helmed by the immortal Todd Howard, Morrowind is an important title in the history of The Elder Scrolls series. Beyond the quality of the game itself, this is the first time a large scale, PC-style RPG would be realised on console hardware. It's also is the game which helped pave the way for the likes of Skyrim and many other titles. With its built-in hard drive and PC-like hardware, the Xbox made a lot of sense as a target for a vast Elder Scrolls experience - at least on paper. You see, as ambitious as it was for the time, the problem is that Morrowind just doesn't run very well on the original Xbox. Out of the box, it's not great, but as the hours of play mount up, Morrowind's performance and loading times gradually degrade. With the game's early hours at least, Microsoft's backwards compatibility technology can make all the difference. We've examined Xbox 360 games running on Xbox One, but original Xbox games receive an even greater boost - something which is immediately apparent when you first fire up Morrowind on Xbox One X. The leap in visual quality is impressive, but nothing stands out more than performance. Morrowind runs at a reasonably stable 60 frames per second on Xbox One X, meaning that the least performant console Elder Scrolls game is now the fastest. Our video breakdown on The Elder Scrolls 3: Morrowind, with a primary focus on Xbox One X upgrades. So how is this possible and just how stable is it? To answer that question, we need to revisit the OG Xbox title and get a handle on its performance profile - what is it that makes it feel so sub-optimal? Using our modern analysis tools we can see that Morrowind operates with an uncapped frame-rate, with a wide performance delta and lots of short, sharp stutter as new data is streamed in. 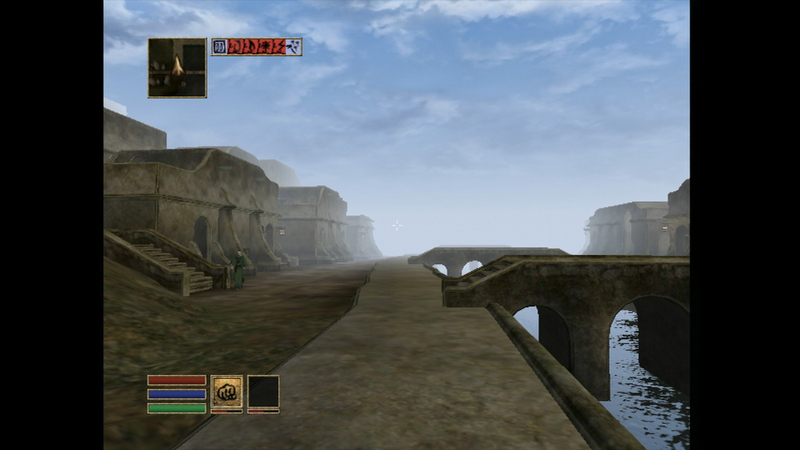 Back in the day, I didn't fully grasp why Morrowind on Xbox appeared so choppy in motion, but the frame-times reveal all. It's a poor set-up for the game, but it's fertile ground for Xbox's much faster back-compat emulator - and the game is transformed as a result. While exploring most of the world, you can now expect a reasonably stable 60fps. Of course, there are still minor hiccups present as the game pulls in new data but even this is less severe than on original hardware, perhaps as a result of the Xbox One X's prodigious 12GB of memory being utilised in part as a RAM disk. That said, while it is significantly improved, frame-rate still isn't 100 per cent perfect. When exploring towns like Balmora, for instance, the performance dips into the low 50s which perhaps makes this a possible FreeSync contender. As good as the frame-rate and stability boost is, there is one factor worth bearing in mind. 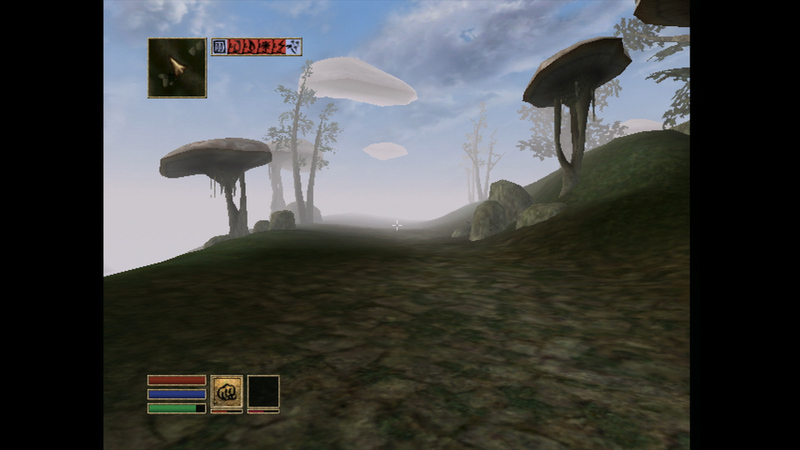 Morrowind is notorious for its performance degradation on the original Xbox. 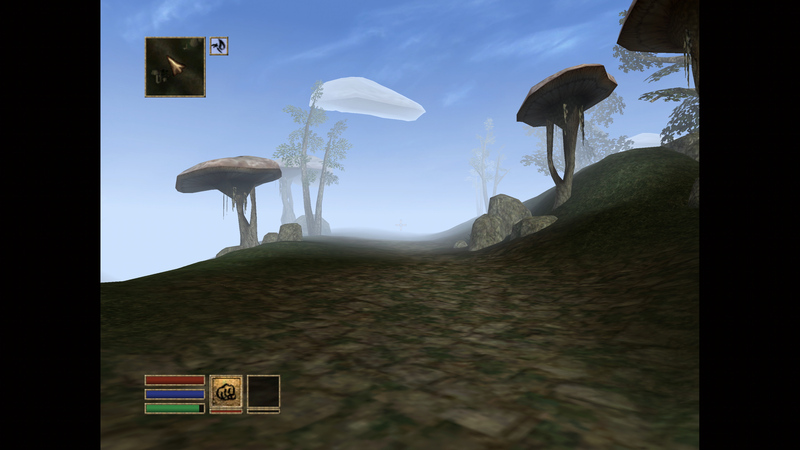 Back in the day, with hundreds of hours on the clock, I discovered that Morrowind will slow to a crawl - load times can take upwards of 10 minutes and the frame-rate drops like a stone. Skyrim PS3 players may recognize these symptoms, though thankfully, after unrelenting pressure, Bethesda fixed the issue. It seems it's based on the game running out of system memory and using the hard drive as a memory replacement instead. 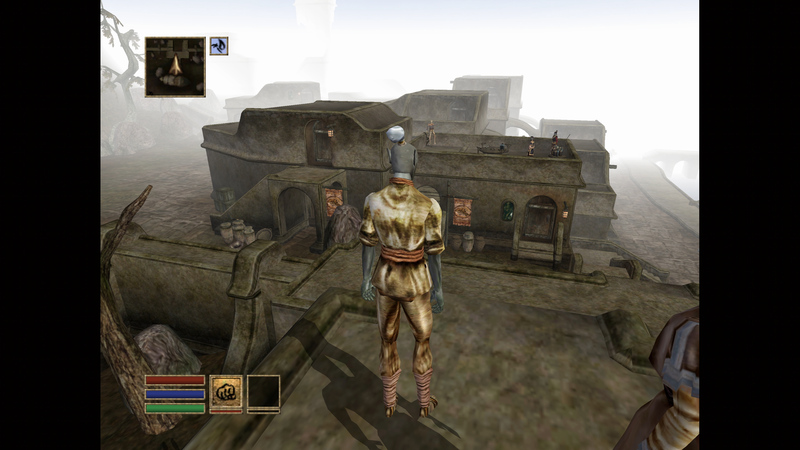 It should be obvious but the massive increase in resolution has a transformative effect on Morrowind - edges are cleaner and distant textures appear sharper on the Xbox One X. In comparison, textures near the camera appear to use a positive LOD bias which results in a reduction in texture clarity compared to the original Xbox version. Even with the thick fog, the increased resolution helps boost distant detail. 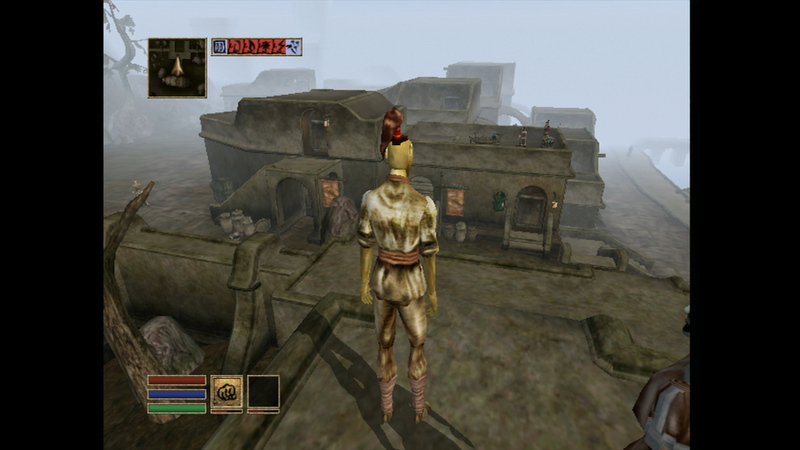 The HUD uses fixed resolution graphics, however, which use a linear scale resulting in additional blurriness. The vanilla PC version features increased draw distance and higher resolution texture work but it still manages to hold up reasonably well on Xbox. 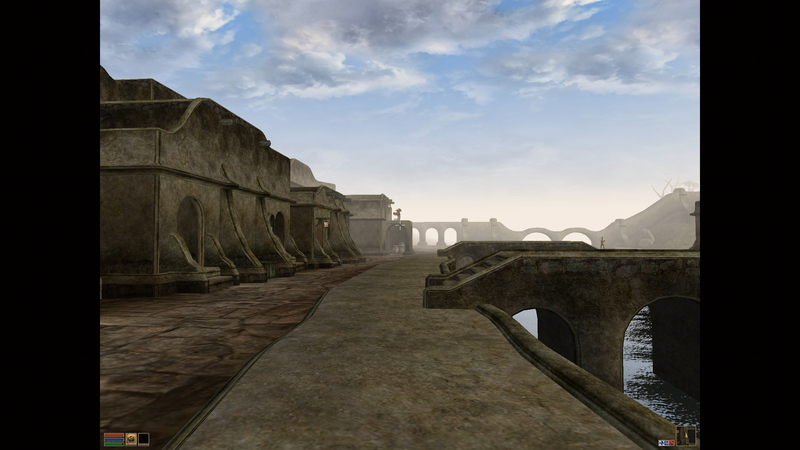 No fix was ever issued for Morrowind, and without the ability to move OG saves over to Xbox One, there's no way we can realistically test this aspect, as it would require hundreds of hours of play - but it'll be curious to see if the game holds up over time for the brave few that push on. Will the immense upgrade in surrounding hardware resolve this issue or at least dramatically lessen the impact? Right now, we just can't say, but what we can confirm is that Xbox One X's handling of storage in general is on another level, so we would be cautiously optimistic there. Morrowind requires a significant amount of time to get started on the original Xbox but on Xbox One X, loading screens are radically faster. Loading saves or moving in and out of buildings suddenly become much less tedious on the new machine. The performance win offered by Morrowind on Xbox One X is such that we've almost overlooked another key advantage delivered here - the massive boost to resolution. The Xbox was designed for CRT televisions and Morrowind supports 480p output. Our Xbox One X measurement comes in at circa-2560x1920. Now, keeping in mind that Morrowind is presented with a 4:3 aspect ratio, the end result is an image reasonably close to a full 4K presentation, on the vertical axis, at least. The emulation layer offers a 16x boost in resolution, so the results are limited by the original resolution on OG hardware. We did take a quick look at the game running on Xbox One S, and resolution here drops to a 'mere' 2x on each axis, giving a reading in the range of 1280x960 - though performance isn't quite as stable as its X counterpart, but still a big, big improvement over OG hardware. Either way, it's great to see another Elder Scrolls series entry added to the Xbox line-up, and although it's obviously showing its age in many ways, the upgrade over the original experience is massive - to the point where it really is one of the highlights of the expanded OG Xbox back-compat line-up. The resolution boost is impressive here (though ground texture fidelity seems to take a hit for some reason) but it's the vastly improved performance that is the highlight of this release - though we really do have to wonder about long-term play. If any of our readers do pile in the hours, please drop us line - as we'd love to see how this title holds up later on down the road. Elder hell did they do that?